TAKE A VACATION ANYTIME YOU WANT TO, WITHOUT EVER LEAVING YOUR HOUSE. What if you didn’t have to leave your home to feel like you were on vacation? Pro Construction USA has been redefining landscaping for homeowners with their own custom landscaping construction since 2005. 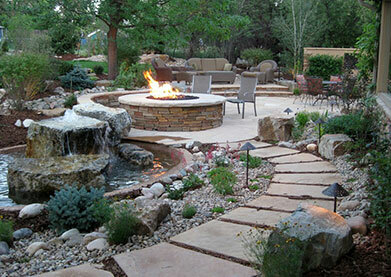 We specialize in custom landscaping construction for your outdoor oasis and if you can dream it, we can build it. Our project consultants know each property is unique and represents a unique set of challenges. They accept each challenge with the same amount of creativity and dedication. Taking the time to work with you to ensure that we present the best possible custom construction solutions for your landscaping project. With a truly custom construction approach to every project Pro Construction USA knows that the custom construction of your landscaping represents a significant investment. An investment we take seriously. We help you to show you the possibilities, not to sell you a specific design, but to create a custom construction of a landscape, an oasis for you. Seeing the aesthetic and ecological potential of your home, we create unique spaces of respite, reflection, and rejuvenation. Whether your project is large or small, complicated, lavish or streamlined, you can trust Pro Construction USA for quality and peace of mind that only comes with a job well done. We are one of the leading custom construction contracting companies in the Southern Utah area and are known for our high quality of workmanship. 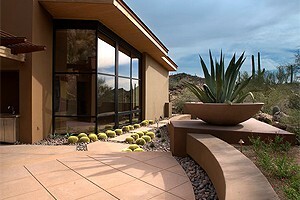 Our workmanship brings enhanced beauty added value and protection to the large investment placed on your property. Don’t be limited in your landscaping dreams… call Pro Construction USA and let us create your dream custom landscape and outdoor oasis. 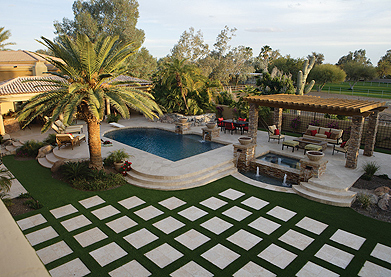 Whether you dream of a custom pool construction, custom landscaping, metal fencing or any other features in your backyard, you can count on Pro Construction USA. 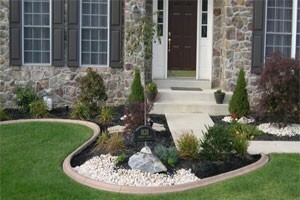 With our skill for custom landscaping and custom construction, be assured you are getting the best. Our goal is to serve our clients by creating exceptional custom landscaping and outdoor environments; which are beautiful and inspiring. We pride ourselves on our uncompromising attention to quality and service. 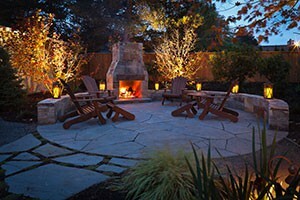 We are known for establishing a home oasis that is artistic, ageless, elegant and functional. If you are planning on building your own home oasis, make sure you are getting the custom landscaping quality that you deserve. "Thank you for your amazing diligence, hard work, and leadership in creating a whole new space in our backyard. The finished results are beyond our expectations, but that is to be expected when your staff continually showed great flexibility and patience, and provided us with suggestions throughout the project." 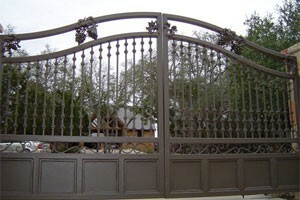 "My iron gates turned out amazing. 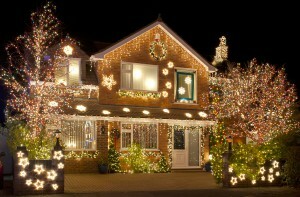 I was very pleased with the workmanship. 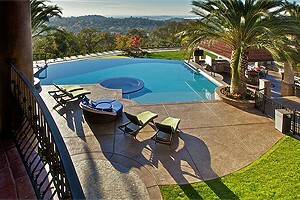 I would recommend Pro Construction USA to all of my friends."